A solvent is a substance capable of dissolving another substance (solute) to form a uniformly dispersed mixture (solution) at the molecular or ionic size level. Solvents are either polar (high dielectric constant) or nonpolar (low dielectric constant). Water, the most common of all solvents (universal solvent), is strongly polar (dielectric constant 81), but hydrocarbon solvents are nonpolar. Aromatic hydrocarbons have higher solvent power than aliphatics (alcohols). Other organic solvent groups are esters, ethers, ketones, amines and nitrated and chlorinated hydrocarbons. The chief uses of organic solvents are in the coatings field (paints, varnishes and lacquers), industrial cleaners, printing inks, extractive processes, and pharmaceuticals. 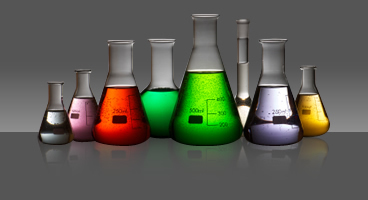 Del Amo Chemical has a wide variety of commercial solvents and solvent products available. If you are requiring solvents for your industry look to Del Amo Chemical Company as your solvent company of choice. For solvent products contact us to serve you today!